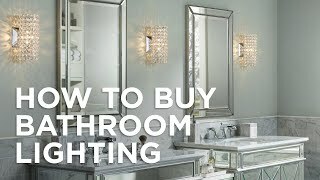 Install this three-light bath light over a mirror or vanity to get lighting for your daily groom routine. 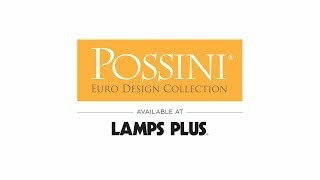 Add the lighting you need to your bathroom or hallway with this three-light wall fixture from Possini Euro Design. It comes in a straight-lined steel frame, with beveled glass shades mounted against the brushed nickel backplate. The understated modern design makes this light perfect for contemporary or transitional style settings. 22 1/4" wide x 8" high. Extends 5" from the wall. Weighs 7.7 lbs. Backplate is 8 3/4" wide x 1" deep x 4 3/4" high. Each shade is 3 3/4" wide at the top x 3" wide at the bottom x 6 1/4" high. Three-light bathroom wall light from the Porter collection by Possini Euro Design®. Beveled glass shades. Brushed nickel over steel construction. Horizontal installation only. Can be installed with lights pointing up or down. Distance from mounting to the top of the fixture is 5 1/2". Can the light be mounted with the lights pointing down instead of up? BEST ANSWER: That's exactly how mine is mounted! My handyman assured me it did not matter which way the lights pointed. As the glass shades are quite long, up-pointing lights would have taken the fixture too far from the mirror below. This fixture looks ordinary when it comes out of the box, but it is stunning when mounted and fixed with clear bulbs! Yes, we installed them pointing down. does this light come in a five light? BEST ANSWER: Only comes with a maximum of 4 lights. This is a lovely fixture and it was easy to install. Definitely recommend. The light bar is beautiful and very bright. Writing on the lamp holder is very obvious and I'm going to have to paint over it. Otherwise I would say it's perfect. 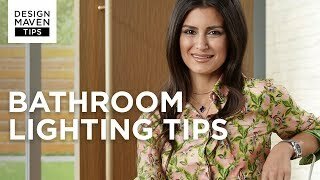 I have many lighting purchases from Lamps Plus that are perfect. A contemporary design with an artistic updatethis brushed nickel bath light is a wonderfully stylish choice for your home.